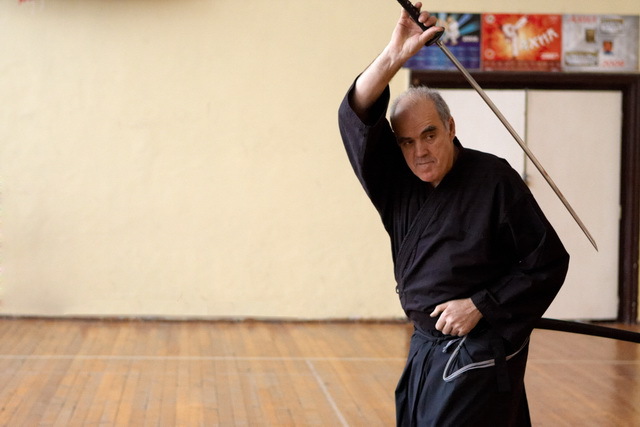 The following text has as its core a translation of a chapter in Nishioka Tsuneo's book Budo-teki na Mono no Kangaekata: Shu, Ha, Ri (Budo Way of Thinking: Shu, Ha, Ri). Direct translations from the Japanese are frequently problematic because of the ambiguity inherent in the traditional Japanese style of essay writing. In order to clarify the author's ideas and best present his thoughts in English, we have supplemented the original text with a series of personal conversations. The result thus intentionally suggests the flavor of teachings passed down from master to disciple. Please note that in this essay, the suffixes -do (way) and -jutsu (skill or technique) are used in the Japanese fashion--that is to say, without making a precise distinction between them. The author believes that they are not two distinct entities, but different facets of a single whole. It is this whole to which he refers, sometimes as budo, sometimes as bujutsu. In places he uses terminology typical of a classical art, while at other times he uses terms usually applied when discussing modern budo. His comments are intended to cover both. The essay begins with reference to the Japanese concept of rei. This word presents unique difficulties in translation. Although rei translates as etiquette, decorum, propriety, politeness, or courtesy, none of these terms are quite equivalent to the Japanese, so in this essay we will not provide an English substitute. Think of it as the proper essence or quality of relationships between individuals.